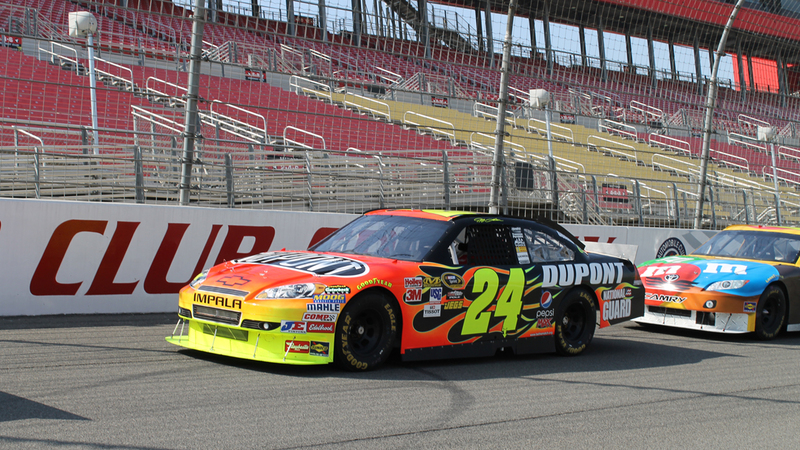 Buy 1 Driving Experience at 50% OFF & Get 2 FREE at Auto Club Speedway on April 13th. Right now save 50% OFF any 6 Lap Qualifier up to 20 Lap Green Flag driving package for Auto Club Speedway on April 13th and get 2 additional driving packages for FREE! Book your 50% off driving package for Auto Club Speedway for April 13th, then give us a call 401-543-3278 and book your FREE driving experiences for friends or family. Use the book button below and the code will automatically added to your booking. *Promotion is valid for Auto Club Speedway on April 13th, 2019 only. Free driving experiences can be given anyone by the original booking customer. Free driving experiences are driving experiences only. Any add-on purchase made during the original booking do not carry over to the Free bookings. Participants of the Free driving experiences may call 401-543-FAST to purchase add-ons in advance or purchase them at the track the day of the event. No other offer or discount may be combined with this promotion. Promotion valid for new bookings only. Free driving experiences must be used on April 13th.